He was fully aware that this base was the point of entry for any non ship invasion, but he was also aware that they had this thing called an Iris, so from Roche's point of view, he would be prepared as he could be as matter of course and his job, but unless these zombie things could walk through...what was it again? Tritium or something? they would be relatively fine. Roche nearly sighed, but didn't. "Thank you for your advice Lieutenant. If the Admiral agrees, and when we have something for Colonel Carter to do besides sit here and wait for news like the rest of us, then I will let her know." He looked up as the call for him came through on the base comm, earning a quiet swear in French as he reached for his coffee once again. at least he could get a refill now. "You should do that Lieutenant," he said as he rose. "Once the men who are supposed to be on duty get back here. Regulations after all." That said, he departed for the briefing room, and whatever they needed him for now. "That went well." Cheryl watched the man leave, turned to Jen, giving her a lopsided grin. "Looks like your stuck with me for a while, at least until the security guys come back. Or, since I am in now way going to sleep now, and to keep out of the way, we could continue this in my room Jen. What do you think?" Stretching a yawn, Cheryl realised she really needed sleep and she had one other duty to perform before she went to bed. "Jen, I really have to go now, if I get told to go to bed one more time I'll scream. Call me a little later today okay?" She gave her buddy a peck on the cheek and left quietly. The door to the cells locked with a loud clang, making the boy in the motorized wheelchair start, his eyes were darting in every direction but at the two NID agents who had found him in the park above the Longhorn Restaurant. His VW minibus had been secured on the base, all his gear confiscated and hopefully by now another technical Agent was going through it thoroughly. "You really thought you could get away with this didn't you Nick?" Shirley's accent was back to her normal mid western. "I mean honestly, if you know this much about the organization you would have known we'd be right on top of it didn't you?" "Yeah I did, I did and you know what agent, I was kinda hoping this is how it would end up. Its like this, what kinda life have I got? What are my chances of reaching my 30th birthday? None, zero, nada. So this was my shot at something." He felt that even if he never got to see his demands met, he'd at least get to see something. After all he'd been hacking into both the Pentagon and more recently the SGC for a while now, he still had an axe hanging over their head and he knew they weren't about to put him to the torch. He felt a bit sorry for Nigel though, but then if they gave him, that poor guy would be free of this world as well. "Shot at what kid? You don't really think its going to happen do you?" Robert looked over at him, shook his head with a sigh. "Okay look, at least the Admiral will talk to you, that's something isn't it?" Ian made his way straight to the holding cells, and approached the NID agents only once the prisoner was secured, keeping out of sight. "Alright, who are we dealing with here? More importantly, what has he thrown out that might tell us what he already knows and what he doesn't?" Both Robert and Shirley snapped to attention, with both of them still in 'military' mode having only been with the NID for less than a year. Although Darnell had served with the NID on and off for a bit longer. The mental state though of them came from the fact both were Naval officers. "Admiral sir, we met briefly at SOCOM, Lieutenant Commander Robert Darnell, I was the Intelligence officer working on the Saddam file." He didn't need to illuminate on that. "My partner here is Lieutenant Shirley Thomas, formerly NCIS. We were recruited directly to the NID I guess for our ability to look like Mr and Mrs Normal, plus our intelligence skills." Shirl looked at him and like a wife in any suburban house she could tell Ian that men just waffle on far too much. "Ahem, sir. In there..." She jerked her thumb behind her. 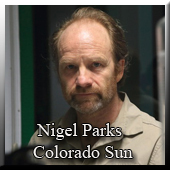 "...is one Nigel Parks, senior trouble maker and sh*t stirrer with the Colorado Sun, he's worked for just about every other left wing rag on the east coast prior to that including the Washington Post, he was also a speech writer at one time for a certain Senator Kinsey so that pretty much sums up his MO. As for what he's said, you'd need to speak with Colonel Reynolds sir, he shut his mouth straight after we hauled him in." Robert cut in. "But this little fella I think might be just a little more open Admiral. Nick Freeberg aged 16, who has been ducking school for most of this year haven't you Nick?" The boy looked up from his wheel chair nonplussed. "Yeah so what, you would to if you were me and knew you had no future. Why the F should I bother with that school crap, I know more than the dumb arsed teachers anyway." "See what I mean sir?" Robert added. "Right, well, that would have been information to follow up on. But I've gone in blind before." Ian said, "As for our young man here, orders were to send him to Medical." He then turned to the kid, "My son mentioned to me a quote from a movie; no fate but what we make, and it's pretty true. Think on that." McRaven then approached the SF guarding the door, "Open it up, Sergeant." The door was unlocked and Ian stepped inside, stopping between Nigel and the door while it was secured behind him before approaching him and sitting down. He held the folder in front of him, opening it up as if he was scanning the contents for a moment before closing it, being very careful to avoid revealing the blank printer paper inside. "Mister Parks. You are being detained for attempting to extort information from US Military personnel, and this carries a fairly significant penalty. And your timing is rather terrible, given that I have to come in here during a very important operation being conducted in the Middle East. So, why don't you explain to me why I shouldn't be assuming a connection between the two, because right now, I've got a first class seat for you on the next C-130 to Cuba, straight to the wonderful Guantanamo Bay." Ian said, and leaned forward with a very serious expression on his face, "And I would advise you that tact means everything to me. So whatever threats you have, let them go right now. I've been threatened by far worse men with far more means than you." "Sarah Connor...." The boy replied before McRaven left him with the agents. He looked up at the two, his face contorted with some degree of pain. "I..er didn't bring my meds, I..think that's a good idea." He told them in reference to being taken to medical. Shirley went to the door of the cell, looked through the grill for a moment. "We'll be back Admiral, don't let him BS you with an appeal for mercy, he doesn't deserve it." She stepped back, tapped her partner on the arm before wheeling Nick away. The old reporter looked up, blinked once or twice in the dim light with nothing but a blank look on his face. "I don't expect much out of this Admiral, in fact I've done what I set out to do really. And as for that phony charge, we both know you'd have a hard time following it up so lets be frank and we can deal. That boy out there is dying, he has about a year maybe two left, his condition worsens everyday, so you might ask what's in it for an old weasel like me?" His hands stretched out on the table, palms upwards. "I have cancer, all my own stupidity of course. Two packs a day for 50 years will do that to anyone, so when the kid called me with his story once I looked into it and him of course I couldn't say no. While I don't expect anything to be done for me, I only ask that he be given a chance for life." You could almost hear the drum roll build up at this point. "He wants to be blended with a Tok'ra and yes he knows there are risks because of his age, he accepts that. Now here is the deal breaker, something I want to give you in return if we can make a deal. You have been briefed on Ba'al I expect?" He left it open for Ian with that revelation. "Alright. I'll humor you for a moment. But make no mistake, if you're playing me, well, I actually can make good on my threats. Being in Washington for as long as you were, you really should have looked up just what happens when terrorism and national security get thrown around. My opening statement was also part of what's being prepared to go public if you're misleading me." Ian said, "As for the young man, the genie is already out of the bottle, and so he'll go through the same evaluations as anyone else who wants to undergo the process. I'm not going to hold his fate over this discussion, so consider that no longer your problem." Ian leaned forward, "So. Here's the deal; I've been clear where I've stood from the word go, I expect you to do the same. As it stands, right now, you're looking at your life for the foreseeable future. Best case is that you get to leave but will have your every move, word, and keystroke monitored 24/7/365. The improvement of your situation depends on how much you incline me to recommend as such when I walk out that door to kick this up the chain. Lay your cards on the table, sir." "Prison would be an uplift on the life I've had over the last two years, if you'd like to call me editor at the Sun, he'll tell you straight. I was put on a month's notice last week. No one else will hire me, not when they know that on the one hand I'm 63 and on the other hand I have cancer. So, I'll be straight up and you can do what you will." He figured at the very least they'd do something for the kid; if they could make that happen Nigel might be able to say that he did the right thing for once in his life. "As you already are aware Ba'al, well the Ba'al you people thought you had aced wasn't the one. Just another clone. You know that and you probably know by now that even though he isn't around Earth much lately...you might know where he is even I guess. Anyway, to make this short he still has assets and personnel here on Earth. I've committed this to memory so I won't be compromised, there is a warehouse in Colombia, 224 Plaza Del Fiego, that along with a rather plush condo on the Riviera, number 127 level 16 Chermin De la Gardiole, about half a mile north of Pointe De Mourett. That's it, oh and I took the liberty to have one of my South American correspondents check out the warehouse, that was a week ago. He said armed patrols guard the joint but they aren't Colombian nor does he think they're even American, so you figure it out." "Alright. I'm going to verify this information. In the meantime, the young man is already being escorted to our medical department. As for you, I'll make my recommendations but I won't guarantee anything. However, should this prove credible, I'll see what we can do about improving your situation to an agreeable manner. If not, then get comfy." Ian stood up, picking up the folder, "I'll be back shortly, Mister Parks." He stood up and walked for the door, knocking three times. The Sergeant peered in before unlocking it to let McRaven out and then the door was shut once more and locked. He departed and headed straight for his office. It was several paces back, around the corner and into the elevator. It took them several levels up before Tilly realized they were going the wrong direction, so she attempted a minor course correction and set them back to the right path toward the stockades. Approaching the doorway, she exhaled a sigh craning her neck to crack her neck bone and lightly urged the prisoner forward, "Here we are. This is where you will stay." Keeping her posture firm, Tilly made sure to keep a watchful eye to make sure the Goa'uld wouldn't do anything she wouldn't do. The goa'uld remained silent as he was pushed into the detention cell. He was not new to prisons, he himself had run many decades before, but now he was on the other side of the bars. "What a feeling of Dejavù ... anyway I will not remain forever closed in this hole, soon I will lick your feet and ask for your life benevolence, but until then ... I will enjoy the wait!" the goa'uld replied, adding a remarkable sarcasm. Watching the Goa'uld carefully, Tilly sighed. Turning around, she rolled her eyes unamused by his comment and tapped her radio, "Gateroom, this is Sergeant Rose. I delivered our guest to the stockades. I thought I would report in." Tapping the radio button again to receive only, Tilly focused her attention on the Goa'uld and inquired curiously, "So, we never met. What do you call yourself?"